Details: Rinovation is a word play on the two words that make up this project's name, Rino is a shortening of the car's name a 1968 Ford Torino GT and innovation. Interestingly the name also sounds like renovation. These words are exactly what we are going to do. 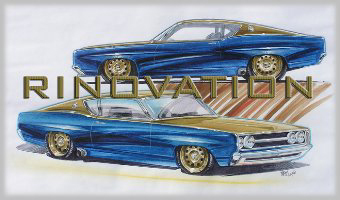 We are going to renovate this classic 1968 Ford Torino GT with innovative ideas and concepts.